I live in New York City. I was born and raised in San Francisco. New York Times Style Section. I work on branding projects for interesting companies. I have a design store with my partner Teddy. 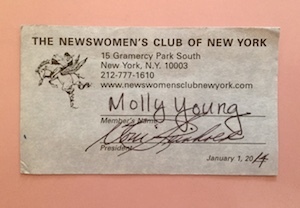 I belong to the Newswomen's Club of New York.